Integrated media and technology company. IMPORTANT NOTICE This overview is for informational purposes only and does not constitute an offer to sell or. 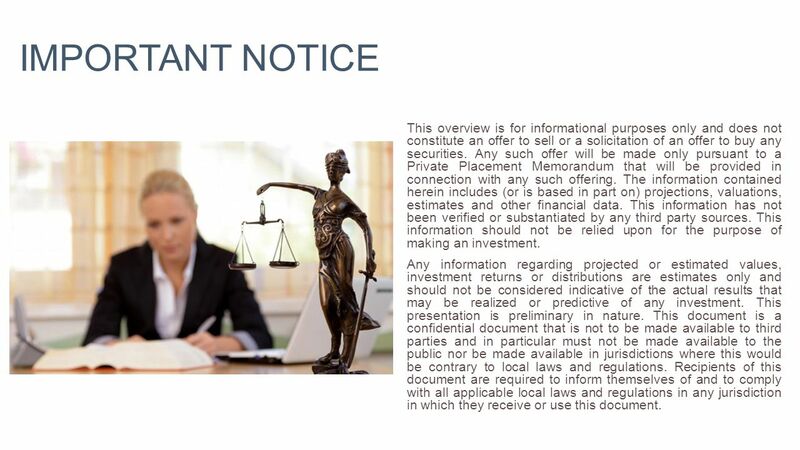 2 IMPORTANT NOTICE This overview is for informational purposes only and does not constitute an offer to sell or a solicitation of an offer to buy any securities. Any such offer will be made only pursuant to a Private Placement Memorandum that will be provided in connection with any such offering. The information contained herein includes (or is based in part on) projections, valuations, estimates and other financial data. This information has not been verified or substantiated by any third party sources. This information should not be relied upon for the purpose of making an investment. Any information regarding projected or estimated values, investment returns or distributions are estimates only and should not be considered indicative of the actual results that may be realized or predictive of any investment. This presentation is preliminary in nature. This document is a confidential document that is not to be made available to third parties and in particular must not be made available to the public nor be made available in jurisdictions where this would be contrary to local laws and regulations. Recipients of this document are required to inform themselves of and to comply with all applicable local laws and regulations in any jurisdiction in which they receive or use this document. 5 WHAT WE DO? 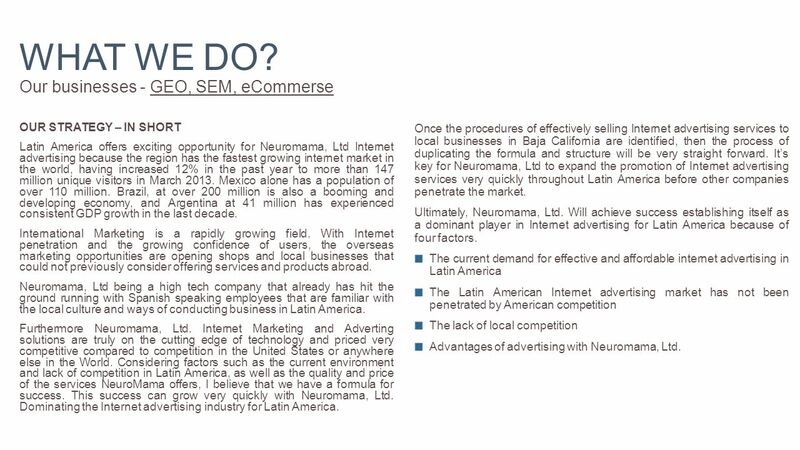 Our businesses - GEO, SEM, eCommerse OUR STRATEGY – IN SHORT Latin America offers exciting opportunity for Neuromama, Ltd Internet advertising because the region has the fastest growing internet market in the world, having increased 12% in the past year to more than 147 million unique visitors in March 2013. Mexico alone has a population of over 110 million. Brazil, at over 200 million is also a booming and developing economy, and Argentina at 41 million has experienced consistent GDP growth in the last decade. International Marketing is a rapidly growing field. With Internet penetration and the growing confidence of users, the overseas marketing opportunities are opening shops and local businesses that could not previously consider offering services and products abroad. 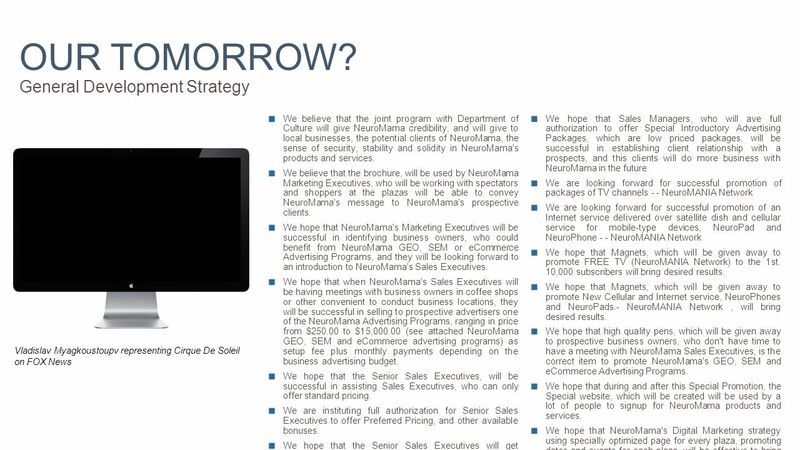 Neuromama, Ltd being a high tech company that already has hit the ground running with Spanish speaking employees that are familiar with the local culture and ways of conducting business in Latin America. 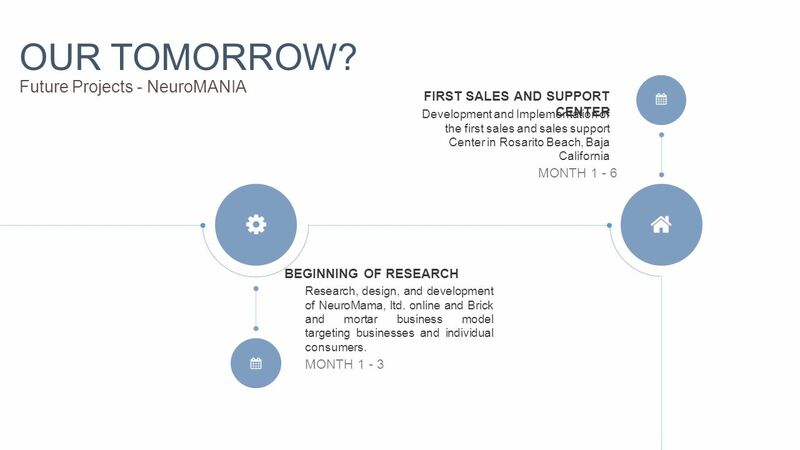 Furthermore Neuromama, Ltd. Internet Marketing and Adverting solutions are truly on the cutting edge of technology and priced very competitive compared to competition in the United States or anywhere else in the World. 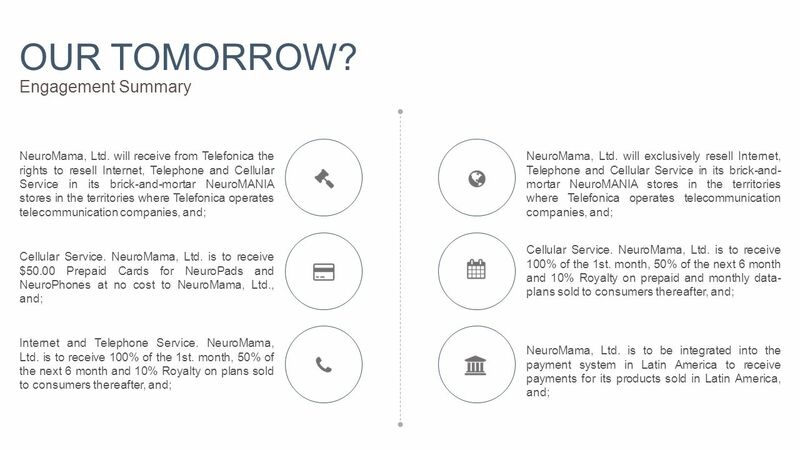 Considering factors such as the current environment and lack of competition in Latin America, as well as the quality and price of the services NeuroMama offers, I believe that we have a formula for success. This success can grow very quickly with Neuromama, Ltd. 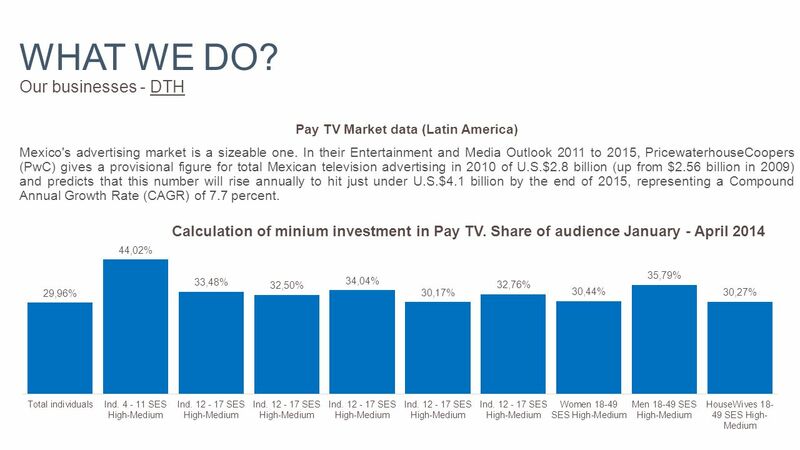 Dominating the Internet advertising industry for Latin America. Once the procedures of effectively selling Internet advertising services to local businesses in Baja California are identified, then the process of duplicating the formula and structure will be very straight forward. 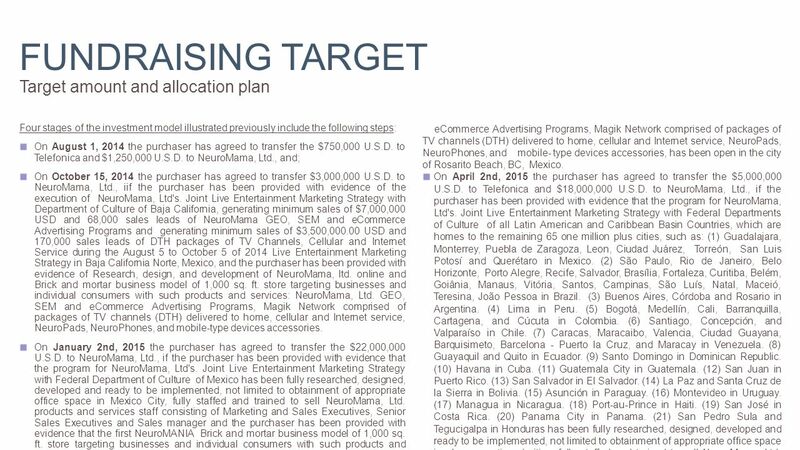 It’s key for Neuromama, Ltd to expand the promotion of Internet advertising services very quickly throughout Latin America before other companies penetrate the market. 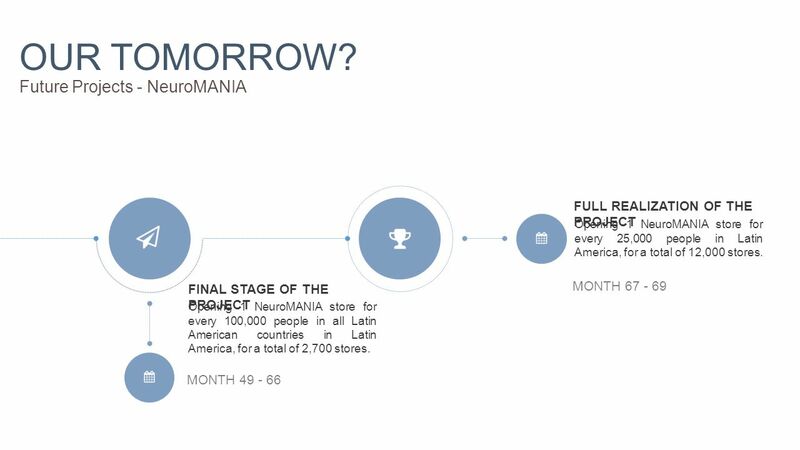 Ultimately, Neuromama, Ltd. Will achieve success establishing itself as a dominant player in Internet advertising for Latin America because of four factors. 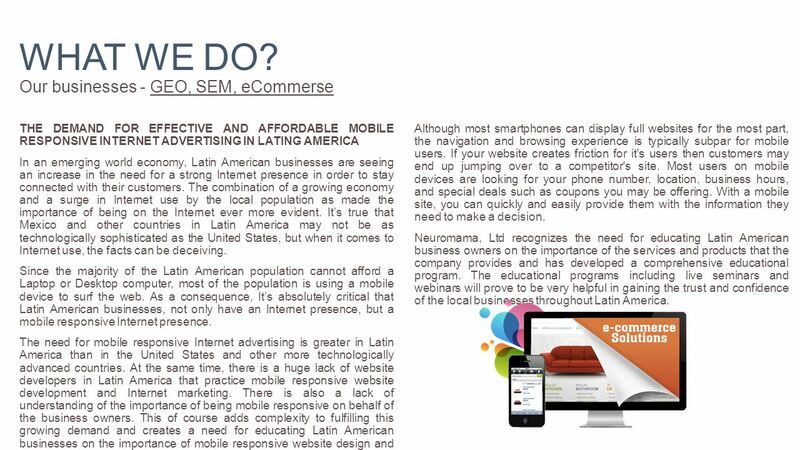 The current demand for effective and affordable internet advertising in Latin America The Latin American Internet advertising market has not been penetrated by American competition The lack of local competition Advantages of advertising with Neuromama, Ltd.
6 WHAT WE DO? Our businesses - GEO, SEM, eCommerse THE DEMAND FOR EFFECTIVE AND AFFORDABLE MOBILE RESPONSIVE INTERNET ADVERTISING IN LATING AMERICA In an emerging world economy, Latin American businesses are seeing an increase in the need for a strong Internet presence in order to stay connected with their customers. The combination of a growing economy and a surge in Internet use by the local population as made the importance of being on the Internet ever more evident. It’s true that Mexico and other countries in Latin America may not be as technologically sophisticated as the United States, but when it comes to Internet use, the facts can be deceiving. Since the majority of the Latin American population cannot afford a Laptop or Desktop computer, most of the population is using a mobile device to surf the web. As a consequence, It’s absolutely critical that Latin American businesses, not only have an Internet presence, but a mobile responsive Internet presence. The need for mobile responsive Internet advertising is greater in Latin America than in the United States and other more technologically advanced countries. At the same time, there is a huge lack of website developers in Latin America that practice mobile responsive website development and Internet marketing. 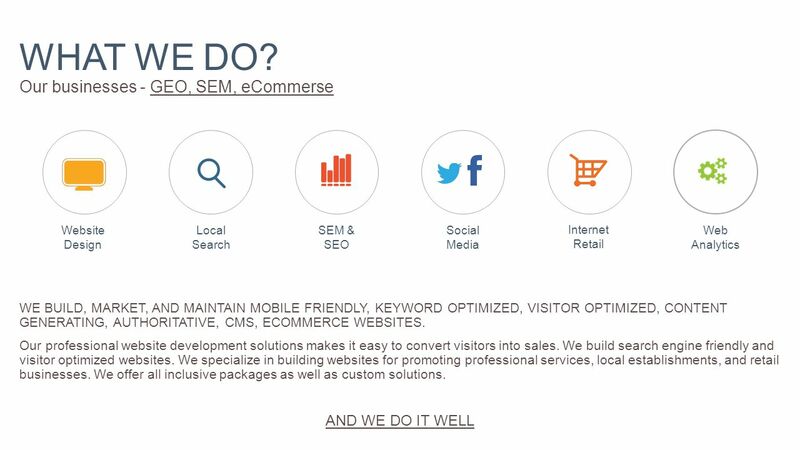 There is also a lack of understanding of the importance of being mobile responsive on behalf of the business owners. 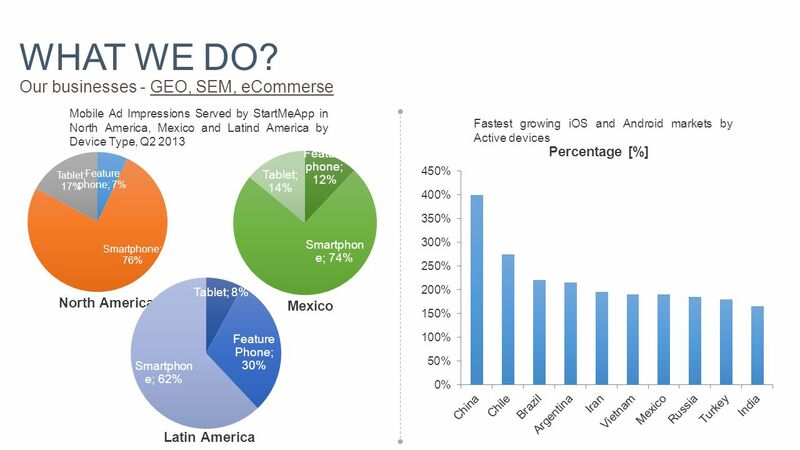 This of course adds complexity to fulfilling this growing demand and creates a need for educating Latin American businesses on the importance of mobile responsive website design and Internet marketing. Although most smartphones can display full websites for the most part, the navigation and browsing experience is typically subpar for mobile users. If your website creates friction for it's users then customers may end up jumping over to a competitor's site. Most users on mobile devices are looking for your phone number, location, business hours, and special deals such as coupons you may be offering. With a mobile site, you can quickly and easily provide them with the information they need to make a decision. 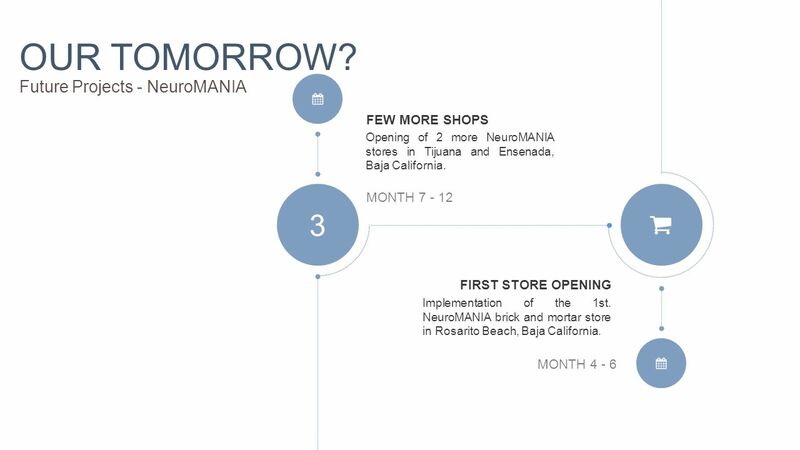 Neuromama, Ltd recognizes the need for educating Latin American business owners on the importance of the services and products that the company provides and has developed a comprehensive educational program. The educational programs including live seminars and webinars will prove to be very helpful in gaining the trust and confidence of the local businesses throughout Latin America. 7 WHAT WE DO? 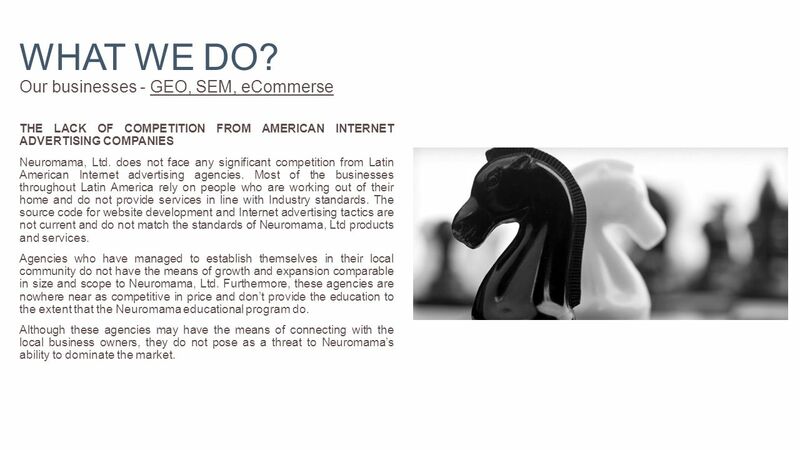 Our businesses - GEO, SEM, eCommerse THE LACK OF COMPETITION FROM AMERICAN INTERNET ADVERTISING COMPANIES Neuromama, Ltd. does not face any significant competition from Latin American Internet advertising agencies. Most of the businesses throughout Latin America rely on people who are working out of their home and do not provide services in line with Industry standards. 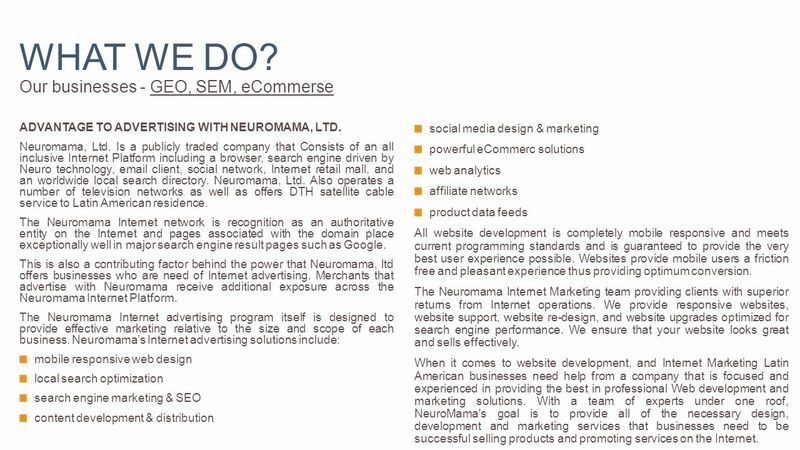 The source code for website development and Internet advertising tactics are not current and do not match the standards of Neuromama, Ltd products and services. Agencies who have managed to establish themselves in their local community do not have the means of growth and expansion comparable in size and scope to Neuromama, Ltd. Furthermore, these agencies are nowhere near as competitive in price and don’t provide the education to the extent that the Neuromama educational program do. Although these agencies may have the means of connecting with the local business owners, they do not pose as a threat to Neuromama’s ability to dominate the market. 8 WHAT WE DO? 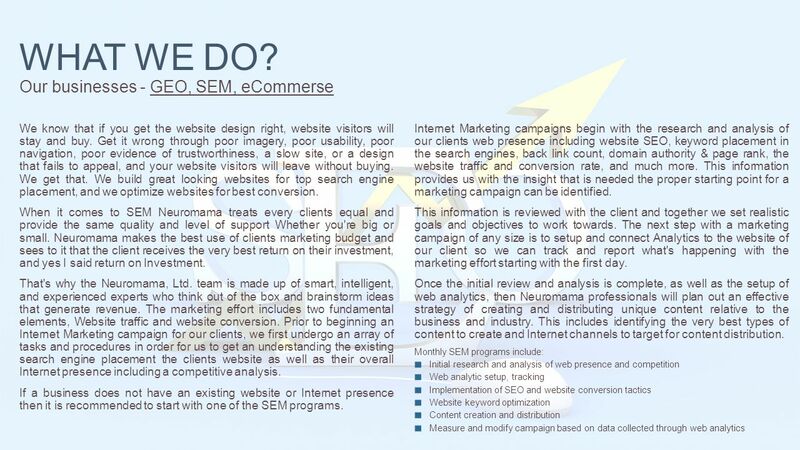 Our businesses - GEO, SEM, eCommerse ADVANTAGE TO ADVERTISING WITH NEUROMAMA, LTD. Neuromama, Ltd. Is a publicly traded company that Consists of an all inclusive Internet Platform including a browser, search engine driven by Neuro technology, email client, social network, Internet retail mall, and an worldwide local search directory. Neuromama, Ltd. Also operates a number of television networks as well as offers DTH satellite cable service to Latin American residence. The Neuromama Internet network is recognition as an authoritative entity on the Internet and pages associated with the domain place exceptionally well in major search engine result pages such as Google. This is also a contributing factor behind the power that Neuromama, ltd offers businesses who are need of Internet advertising. Merchants that advertise with Neuromama receive additional exposure across the Neuromama Internet Platform. 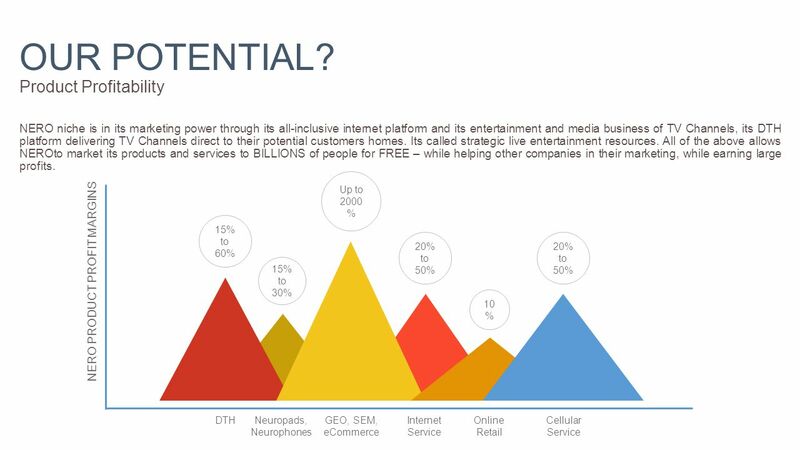 The Neuromama Internet advertising program itself is designed to provide effective marketing relative to the size and scope of each business. Neuromama’s Internet advertising solutions include: mobile responsive web design local search optimization search engine marketing & SEO content development & distribution social media design & marketing powerful eCommerc solutions web analytics affiliate networks product data feeds All website development is completely mobile responsive and meets current programming standards and is guaranteed to provide the very best user experience possible. Websites provide mobile users a friction free and pleasant experience thus providing optimum conversion. 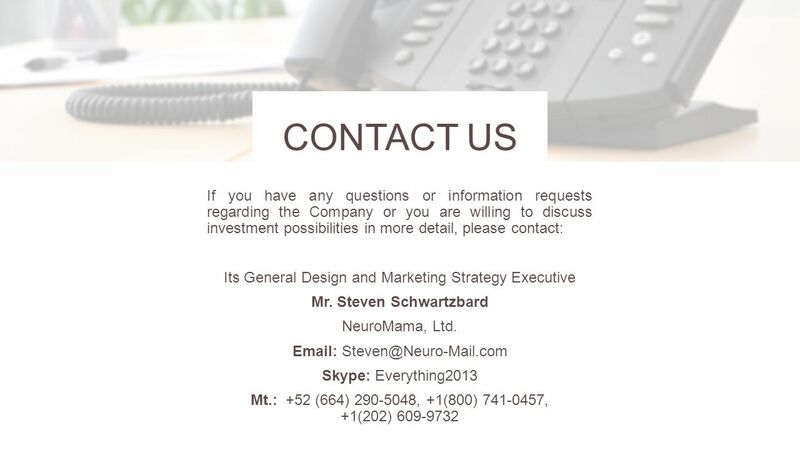 The Neuromama Internet Marketing team providing clients with superior returns from Internet operations. We provide responsive websites, website support, website re-design, and website upgrades optimized for search engine performance. We ensure that your website looks great and sells effectively. When it comes to website development, and Internet Marketing Latin American businesses need help from a company that is focused and experienced in providing the best in professional Web development and marketing solutions. 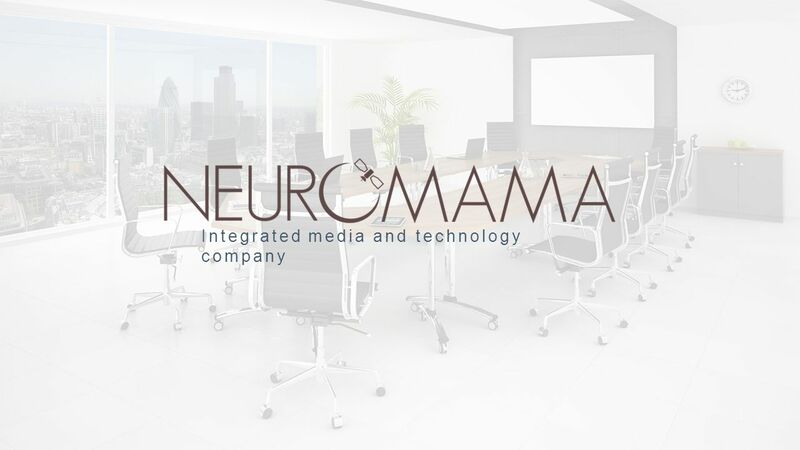 With a team of experts under one roof, NeuroMama's goal is to provide all of the necessary design, development and marketing services that businesses need to be successful selling products and promoting services on the Internet. 10 WHAT WE DO? 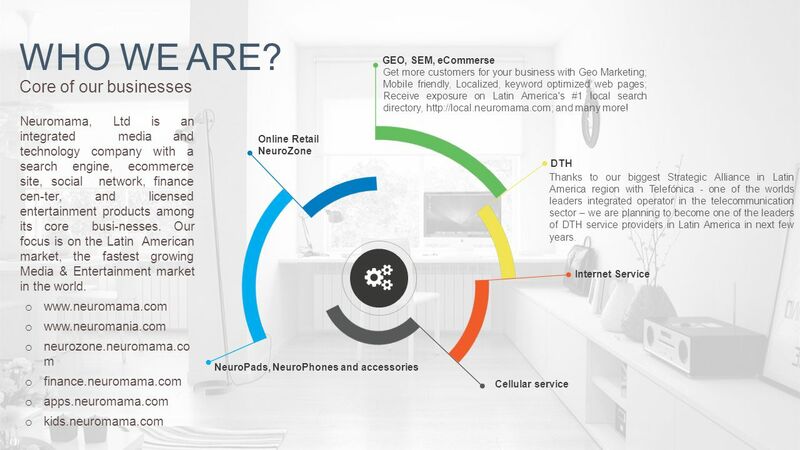 Our businesses - GEO, SEM, eCommerse NEUROZONE SHOPPING MALL PLATFORM Neuromama.com offers a great opportunity to merchants who wish to sell online. 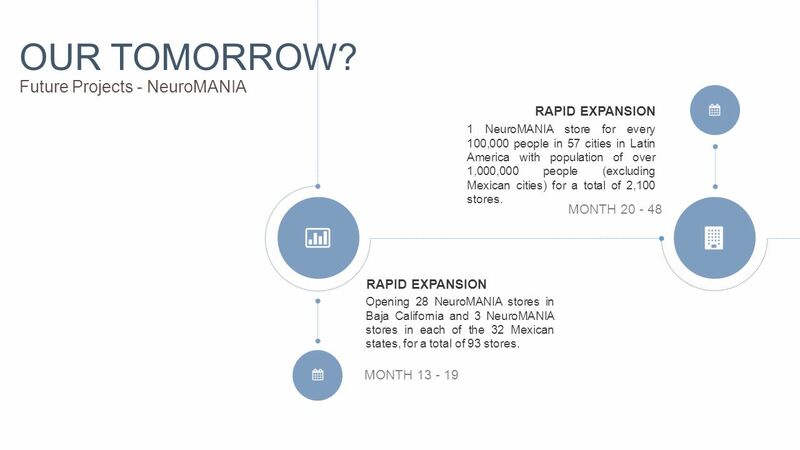 The Neurozone.neuromama.com is an eCommerce platform providing businesses with the means of selling global to over 150 countries worldwide. Merchants can choose from three programs designed to get every business type selling on the Internet instantly! List your products for customers to bid in an auction, flat rate price, or link products to your own website through the Neurozone affiliate network program. 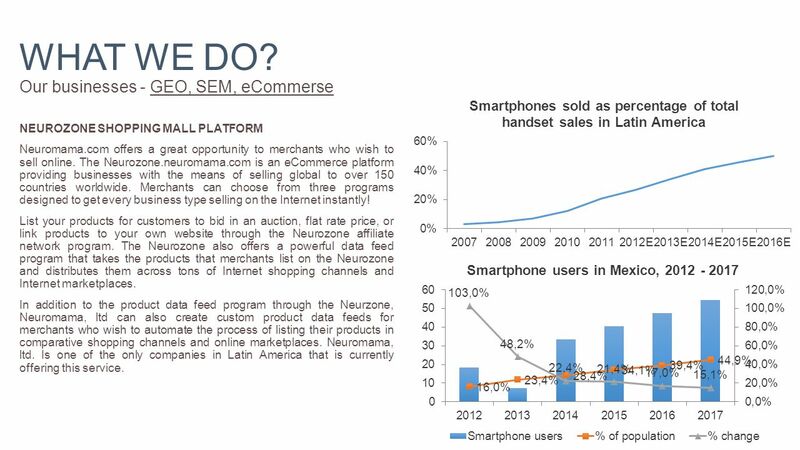 The Neurozone also offers a powerful data feed program that takes the products that merchants list on the Neurozone and distributes them across tons of Internet shopping channels and Internet marketplaces. In addition to the product data feed program through the Neurzone, Neuromama, ltd can also create custom product data feeds for merchants who wish to automate the process of listing their products in comparative shopping channels and online marketplaces. Neuromama, ltd. Is one of the only companies in Latin America that is currently offering this service. 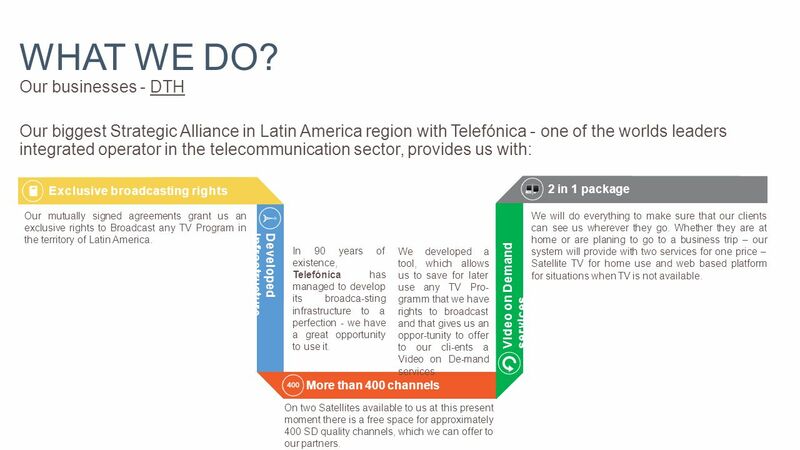 12 Our biggest Strategic Alliance in Latin America region with Telefónica - one of the worlds leaders integrated operator in the telecommunication sector, provides us with: WHAT WE DO? 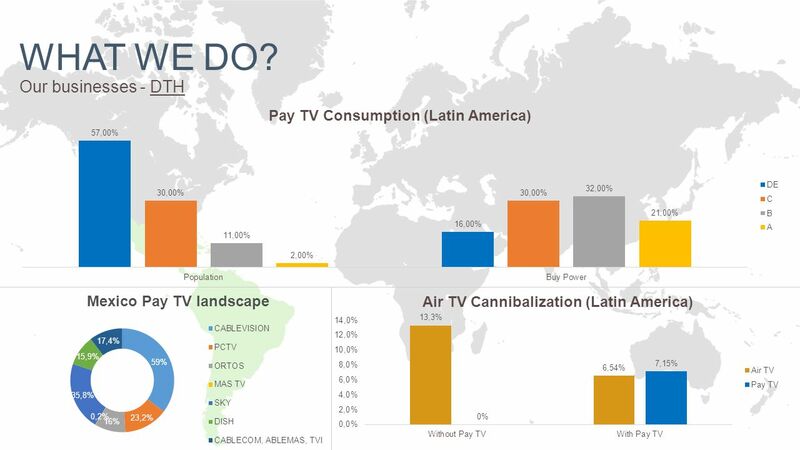 Our businesses - DTH Exclusive broadcasting rights Our mutually signed agreements grant us an exclusive rights to Broadcast any TV Program in the territory of Latin America. Developed infrastructure In 90 years of existence, Telefónica has managed to develop its broadca-sting infrastructure to a perfection - we have a great opportunity to use it. On two Satellites available to us at this present moment there is a free space for approximately 400 SD quality channels, which we can offer to our partners. 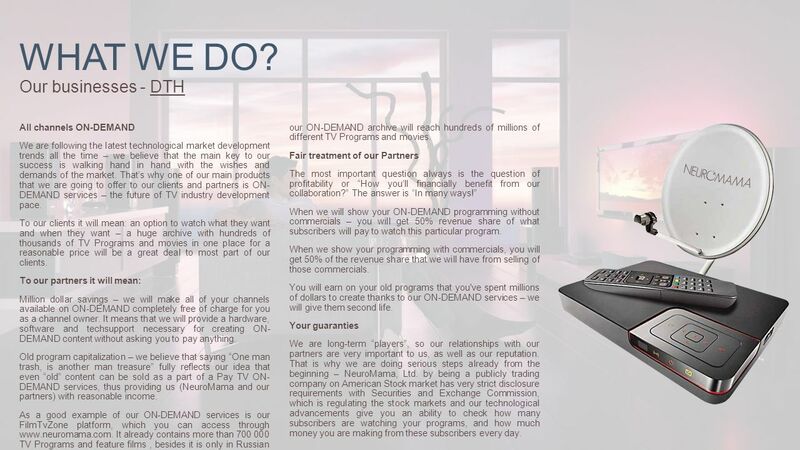 More than 400 channels Video on Demand services We developed a tool, which allows us to save for later use any TV Pro- gramm that we have rights to broadcast and that gives us an oppor-tunity to offer to our cli-ents a Video on De-mand services. 2 in 1 package We will do everything to make sure that our clients can see us wherever they go. Whether they are at home or are planing to go to a business trip – our system will provide with two services for one price – Satellite TV for home use and web based platform for situations when TV is not available. 13 All channels ON-DEMAND We are following the latest technological market development trends all the time – we believe that the main key to our success is walking hand in hand with the wishes and demands of the market. That’s why one of our main products that we are going to offer to our clients and partners is ON- DEMAND services – the future of TV industry development pace. To our clients it will mean: an option to watch what they want and when they want – a huge archive with hundreds of thousands of TV Programs and movies in one place for a reasonable price will be a great deal to most part of our clients. To our partners it will mean: Million dollar savings – we will make all of your channels available on ON-DEMAND completely free of charge for you as a channel owner. It means that we will provide a hardware, software and techsupport necessary for creating ON- DEMAND content without asking you to pay anything. Old program capitalization – we believe that saying “One man trash, is another man treasure” fully reflects our idea that even “old” content can be sold as a part of a Pay TV ON- DEMAND services, thus providing us (NeuroMama and our partners) with reasonable income. As a good example of our ON-DEMAND services is our FilmTvZone platform, which you can access through www.neuromama.com. It already contains more than 700 000 TV Programs and feature films, besides it is only in Russian language. When we will reach our target to add the rest of Americas 24 most spoken languages, the size of WHAT WE DO? Our businesses - DTH our ON-DEMAND archive will reach hundreds of millions of different TV Programs and movies. Fair treatment of our Partners The most important question always is the question of profitability or “How you’ll financially benefit from our collaboration?” The answer is “In many ways!” When we will show your ON-DEMAND programming without commercials – you will get 50% revenue share of what subscribers will pay to watch this particular program. When we show your programming with commercials, you will get 50% of the revenue share that we will have from selling of those commercials. You will earn on your old programs that you've spent millions of dollars to create thanks to our ON-DEMAND services – we will give them second life. Your guaranties We are long-term “players”, so our relationships with our partners are very important to us, as well as our reputation. That is why we are doing serious steps already from the beginning – NeuroMama, Ltd. by being a publicly trading company on American Stock market has very strict disclosure requirements with Securities and Exchange Commission, which is regulating the stock markets and our technological advancements give you an ability to check how many subscribers are watching your programs, and how much money you are making from these subscribers every day. 17 OUR TOMORROW? 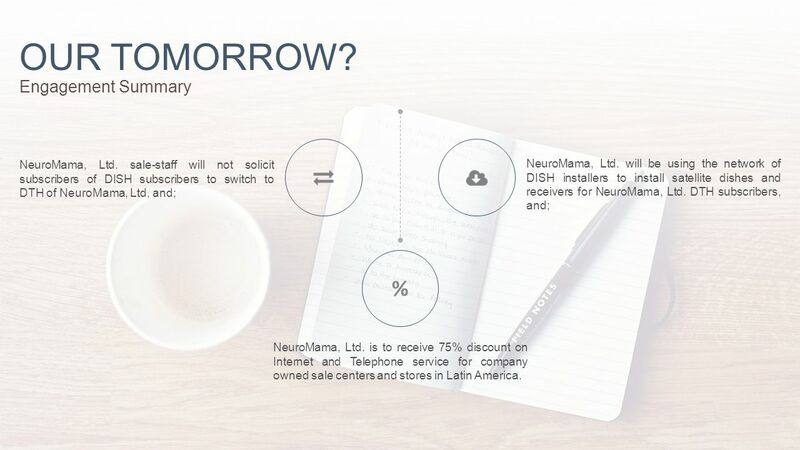 Engagement Summary NeuroMama, Ltd. sale-staff will not solicit subscribers of DISH subscribers to switch to DTH of NeuroMama, Ltd, and; NeuroMama, Ltd. will be using the network of DISH installers to install satellite dishes and receivers for NeuroMama, Ltd. DTH subscribers, and; NeuroMama, Ltd. is to receive 75% discount on Internet and Telephone service for company owned sale centers and stores in Latin America. 20 OUR TOMORROW? Future Projects - NeuroMANIA 3 MONTH 7 - 12 MONTH 4 - 6 Implementation of the 1st. NeuroMANIA brick and mortar store in Rosarito Beach, Baja California. FIRST STORE OPENING FEW MORE SHOPS Opening of 2 more NeuroMANIA stores in Tijuana and Ensenada, Baja California. 27 OUR POTENTIAL? 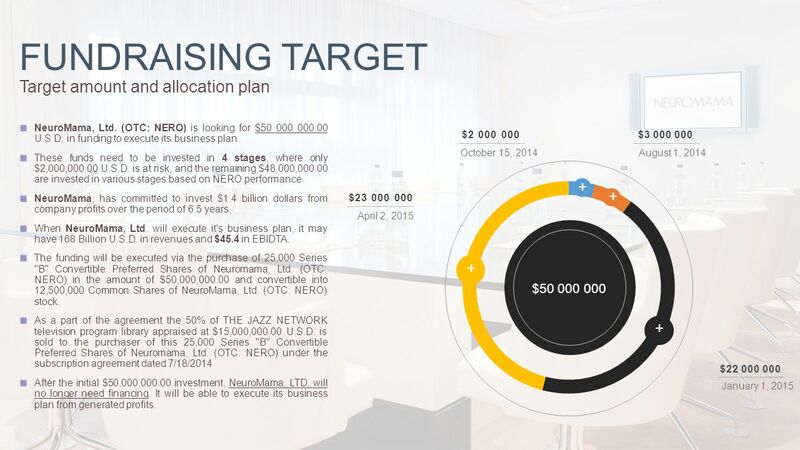 NERO Immediate Markets – Long term Goals LONG TERM SALES GOALS Online retail $12 billion dollars in 69 month. Total Long Term Goal for 69 month = $24 billion in sales. o 24,000 stores. o 1,000 sq. ft. o $500 per square foot = $12 billion dollars in 69 month. 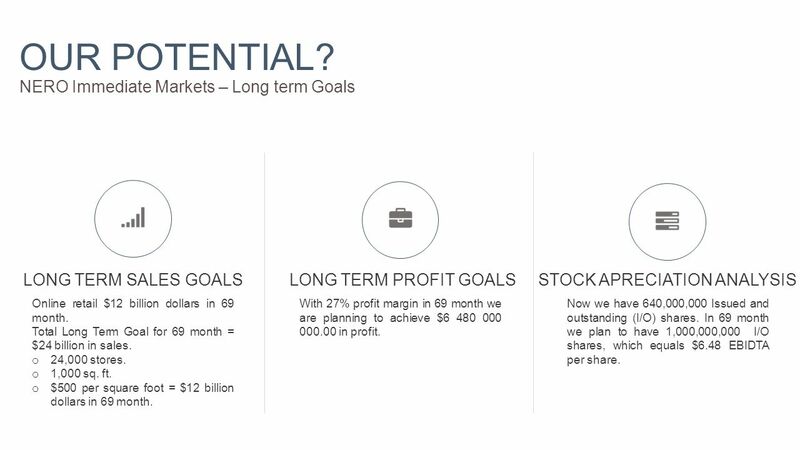 LONG TERM PROFIT GOALS With 27% profit margin in 69 month we are planning to achieve $6 480 000 000.00 in profit. STOCK APRECIATION ANALYSIS Now we have 640,000,000 Issued and outstanding (I/O) shares. 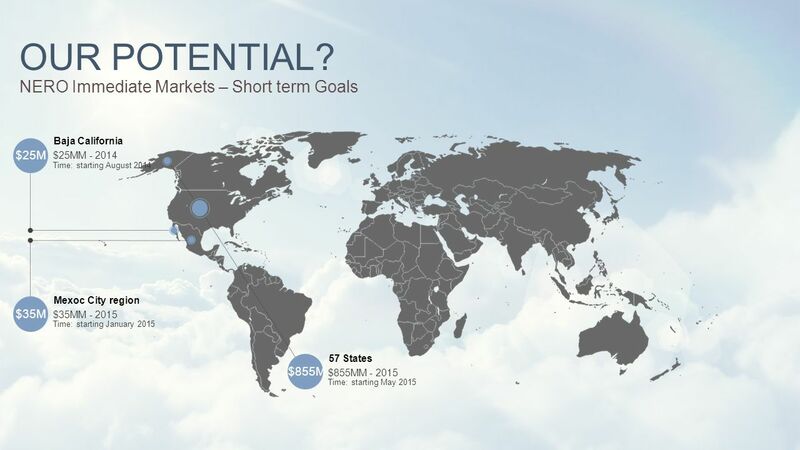 In 69 month we plan to have 1,000,000,000 I/O shares, which equals $6.48 EBIDTA per share. 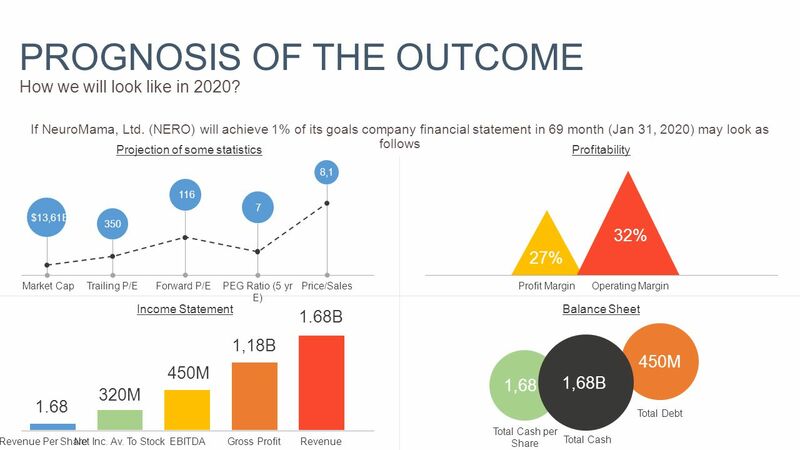 29 FUNDRAISING TARGET Target amount and allocation plan Four stages of the investment model illustrated previously include the following steps: On August 1, 2014 the purchaser has agreed to transfer the $750,000 U.S.D. to Telefonica and $1,250,000 U.S.D. to NeuroMama, Ltd., and; On October 15, 2014 the purchaser has agreed to transfer $3,000,000 U.S.D. to NeuroMama, Ltd., iif the purchaser has been provided with evidence of the execution of NeuroMama, Ltd's. Joint Live Entertainment Marketing Strategy with Department of Culture of Baja California, generating minimum sales of $7,000,000 USD and 68,000 sales leads of NeuroMama GEO, SEM and eCommerce Advertising Programs and generating minimum sales of $3,500,000.00 USD and 170,000 sales leads of DTH packages of TV Channels, Cellular and Internet Service during the August 5 to October 5 of 2014 Live Entertainment Marketing Strategy in Baja California Norte, Mexico, and the purchaser has been provided with evidence of Research, design, and development of NeuroMama, ltd. online and Brick and mortar business model of 1,000 sq. ft. store targeting businesses and individual consumers with such products and services: NeuroMama, Ltd. GEO, SEM and eCommerce Advertising Programs, Magik Network comprised of packages of TV channels (DTH) delivered to home, cellular and Internet service, NeuroPads, NeuroPhones, and mobile-type devices accessories. On January 2nd, 2015 the purchaser has agreed to transfer the $22,000,000 U.S.D. to NeuroMama, Ltd., if the purchaser has been provided with evidence that the program for NeuroMama, Ltd's. Joint Live Entertainment Marketing Strategy with Federal Department of Culture of Mexico has been fully researched, designed, developed and ready to be implemented, not limited to obtainment of appropriate office space in Mexico City, fully staffed and trained to sell NeuroMama, Ltd. products and services staff consisting of Marketing and Sales Executives, Senior Sales Executives and Sales manager and the purchaser has been provided with evidence that the first NeuroMANIA Brick and mortar business model of 1,000 sq. ft. store targeting businesses and individual consumers with such products and services: NeuroMama, Ltd. GEO, SEM and eCommerce Advertising Programs, Magik Network comprised of packages of TV channels (DTH) delivered to home, cellular and Internet service, NeuroPads, NeuroPhones, and mobile-type devices accessories, has been open in the city of Rosarito Beach, BC, Mexico. On April 2nd, 2015 the purchaser has agreed to transfer the $5,000,000 U.S.D. to Telefonica and $18,000,000 U.S.D. to NeuroMama, Ltd., if the purchaser has been provided with evidence that the program for NeuroMama, Ltd's. 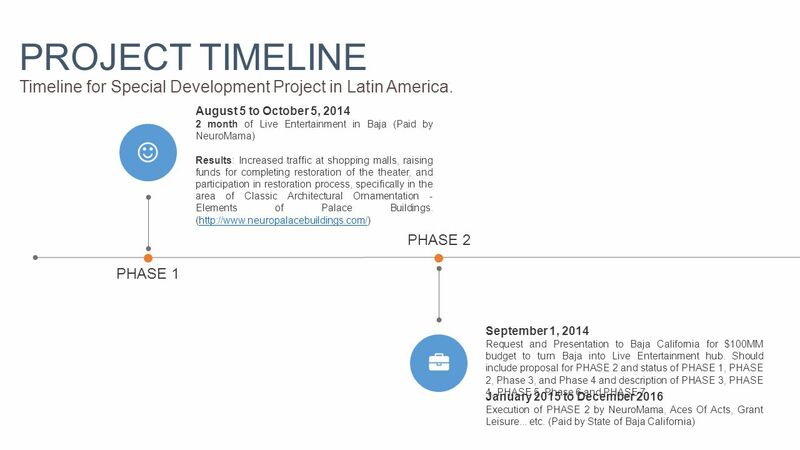 Joint Live Entertainment Marketing Strategy with Federal Departments of Culture of all Latin American and Caribbean Basin Countries, which are homes to the remaining 65 one million plus cities, such as: (1) Guadalajara, Monterrey, Puebla de Zaragoza, Leon, Ciudad Juárez, Torreón, San Luis Potosí and Querétaro in Mexico. (2) São Paulo, Rio de Janeiro, Belo Horizonte, Porto Alegre, Recife, Salvador, Brasília, Fortaleza, Curitiba, Belém, Goiânia, Manaus, Vitória, Santos, Campinas, São Luís, Natal, Maceió, Teresina, João Pessoa in Brazil. (3) Buenos Aires, Córdoba and Rosario in Argentina. (4) Lima in Peru. (5) Bogotá, Medellín, Cali, Barranquilla, Cartagena, and Cúcuta in Colombia. (6) Santiago, Concepción, and Valparaíso in Chile. (7) Caracas, Maracaibo, Valencia, Ciudad Guayana, Barquisimeto, Barcelona - Puerto la Cruz, and Maracay in Venezuela. (8) Guayaquil and Quito in Ecuador. (9) Santo Domingo in Dominican Republic. (10) Havana in Cuba. (11) Guatemala City in Guatemala. (12) San Juan in Puerto Rico. (13) San Salvador in El Salvador. (14) La Paz and Santa Cruz de la Sierra in Bolivia. (15) Asunción in Paraguay. (16) Montevideo in Uruguay. (17) Managua in Nicaragua. (18) Port-au-Prince in Haiti. (19) San José in Costa Rica. (20) Panama City in Panama. (21) San Pedro Sula and Tegucigalpa in Honduras has been fully researched, designed, developed and ready to be implemented, not limited to obtainment of appropriate office space in above mentioned cities, fully staffed and trained to sell NeuroMama, Ltd. products and services staff consisting of Marketing and Sales Executives, Senior Sales Executives and Sales managers. 35 IN CONCLUSION Fusion is an unexploited energy source: the new energy source that the World urgently needs. The characteristics of this newness need to be appreciated and not throttled for spurious reasons. The claim leveled against HIF in the 1970s was “costs too much”. Then, as now, this problem say much about the purview of the sayer and not energy production or cost to end users, the environment, etc. The large size and cost of a HIF-driver system are practical, but context is critical. Beheld from middle management in bureaucracy or “settled” industrial communities, such as electric power producers, a $20 billion facility is a substantial undertaking. 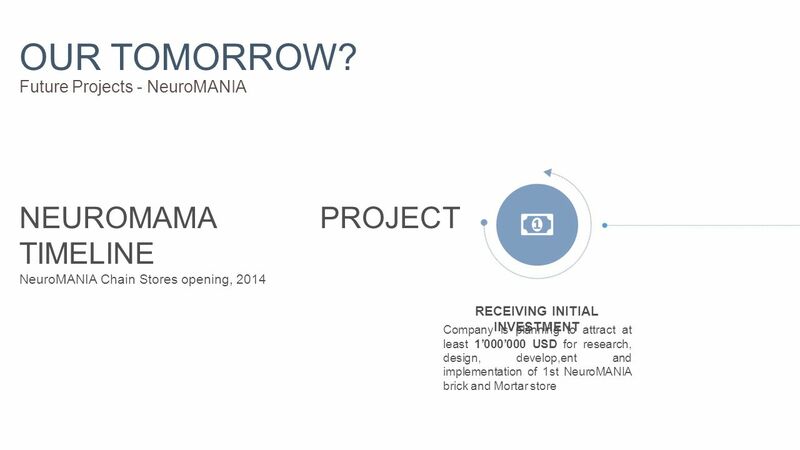 An investment in NeuroMama, Ltd. must be viewed based on investment risk and reward. Urgency of the need, dire though this urgency is, can contribute only to the urgency with which this “viewing” must be carried out. Accelerators naturally have a repetition rates at tens of pulses per second. One HIF driver system can drive ten to twenty fusion chambers, to produce about 100GW of output energy, the amount of thermal energy produced by 30 fission reactors. The energy production of a 100GW system is equivalent to over a million barrels of oil per day. This is comparable to the production of one of the World’s dozen or so “super giant” oil fields. 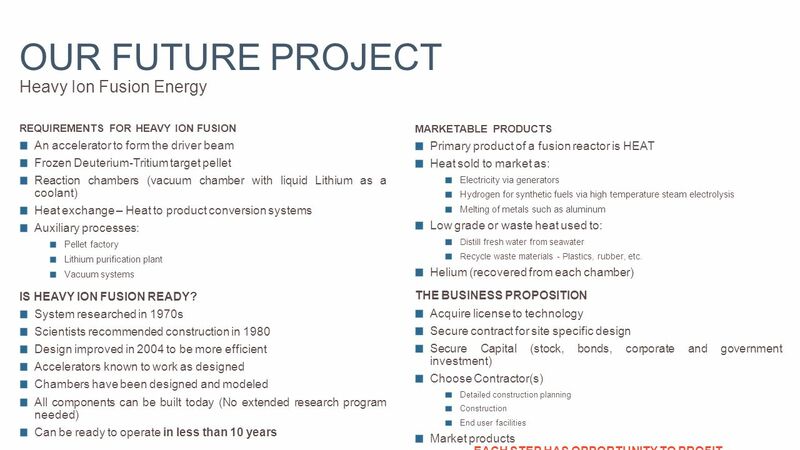 The time line for design and construction of a fusion system, about 10 years, is about the same as the time it take to find and develop a giant oil field. The major difference is that the fusion system lasts for decades and can even grow in output while and oilfield begins to decline in production the day it is completed. The expected annual revenue is nearly the same as the expected cost of construction - $20 to $40 Billion. The annual fuel cost is minimal and a rule-of-thumb 10% to 20% O&M cost represents only a fraction of the expected income from the electricity generated and sold at market rates. Incorporation of other revenue streams, which can be in series or parallel with the production of electricity, increases the opportunity for profit. 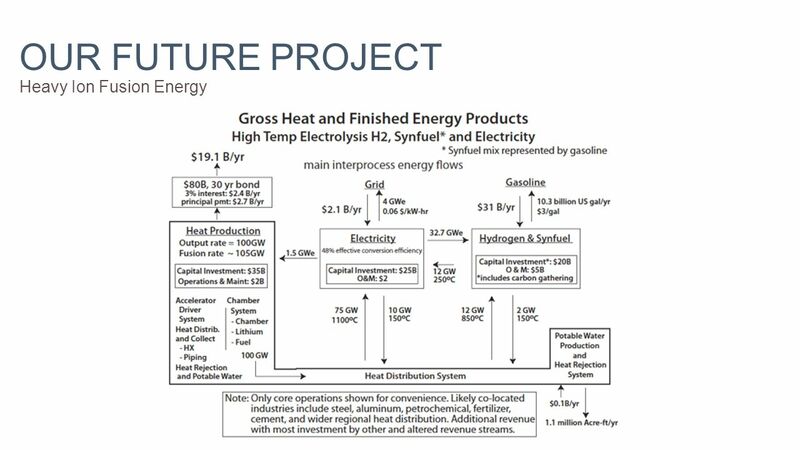 These other revenue streams include liquid fuels, via first producing hydrogen, production of fresh water, and provision of heat for other processes. This proposition clearly does not “cost too much.” If anything, it has the potential to “profit too much”. David Lilienthal, former Chairman of the TVA and the first Chairman of the Atomic Energy Commission, once wrote: “No American energy policy makes sense unless it takes into account the needs of all peoples... it is these energy sources that have enabled us to aid the helpless the world over.” NeuroMama, Ltd. clearly sees the path to our vision of the future, and we would like the support of others to assist us in our efforts. 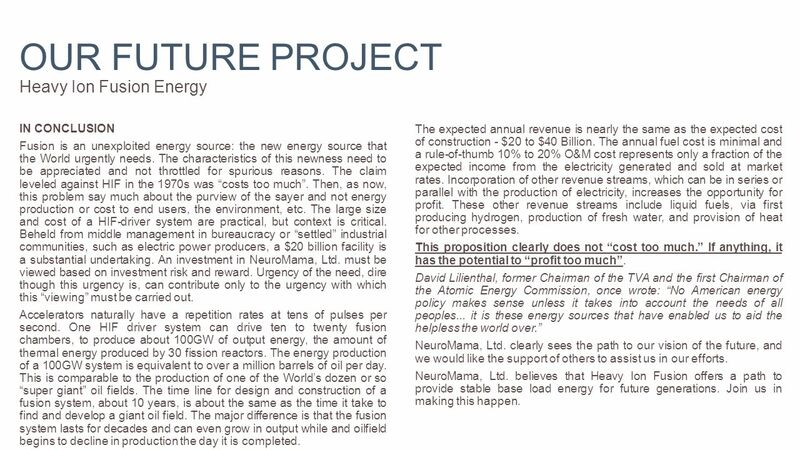 NeuroMama, Ltd. believes that Heavy Ion Fusion offers a path to provide stable base load energy for future generations. Join us in making this happen. 39 SPECIAL DEVELOPMENT PROJECT IN LATIN AMERICA Project description INTRODUCTION As a result of signing Joint Marketing Strategy Agreement ("Agreement") between NeuroMama, Ltd. and the Department of Culture of Baja California, NeuroMama, Ltd. will form a new company in Mexico - NeuroMANIA Live Entertainment, Inc., and operate NeuroMANIA Live Entertainment Center, which is the new entertainment center being built in Tijuana for Institute of Culture. 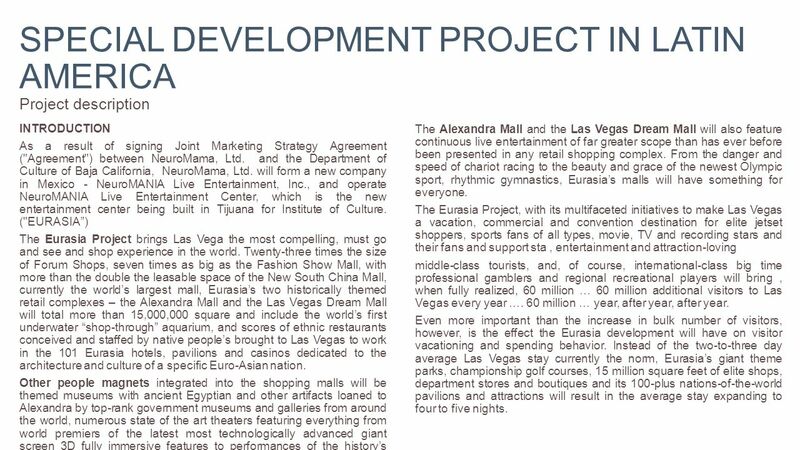 ("EURASIA”) The Eurasia Project brings Las Vega the most compelling, must go and see and shop experience in the world. Twenty-three times the size of Forum Shops, seven times as big as the Fashion Show Mall, with more than the double the leasable space of the New South China Mall, currently the world’s largest mall, Eurasia’s two historically themed retail complexes – the Alexandra Mall and the Las Vegas Dream Mall will total more than 15,000,000 square and include the world’s first underwater “shop-through” aquarium, and scores of ethnic restaurants conceived and staffed by native people’s brought to Las Vegas to work in the 101 Eurasia hotels, pavilions and casinos dedicated to the architecture and culture of a specific Euro-Asian nation. Other people magnets integrated into the shopping malls will be themed museums with ancient Egyptian and other artifacts loaned to Alexandra by top-rank government museums and galleries from around the world, numerous state of the art theaters featuring everything from world premiers of the latest most technologically advanced giant screen 3D fully immersive features to performances of the history’s most revered symphonies, ballets and operas by top touring companies. The Alexandra Mall and the Las Vegas Dream Mall will also feature continuous live entertainment of far greater scope than has ever before been presented in any retail shopping complex. From the danger and speed of chariot racing to the beauty and grace of the newest Olympic sport, rhythmic gymnastics, Eurasia’s malls will have something for everyone. The Eurasia Project, with its multifaceted initiatives to make Las Vegas a vacation, commercial and convention destination for elite jetset shoppers, sports fans of all types, movie, TV and recording stars and their fans and support sta, entertainment and attraction-loving middle-class tourists, and, of course, international-class big time professional gamblers and regional recreational players will bring, when fully realized, 60 million … 60 million additional visitors to Las Vegas every year …. 60 million … year, after year, after year. Even more important than the increase in bulk number of visitors, however, is the effect the Eurasia development will have on visitor vacationing and spending behavior. Instead of the two-to-three day average Las Vegas stay currently the norm, Eurasia’s giant theme parks, championship golf courses, 15 million square feet of elite shops, department stores and boutiques and its 100-plus nations-of-the-world pavilions and attractions will result in the average stay expanding to four to five nights. 40 SPECIAL DEVELOPMENT PROJECT IN LATIN AMERICA Project description Based solely on Las Vegas’ current annual guest count of 40 million, visitor days spent in Las Vegas will expand from roughly 100 million to approximately 180 million, an increase of 80 percent in time and money spent in Las Vegas. Double those numbers by adding in the tens of thousands of new annual visitors drawn to Las Vegas by Eurasia and you begin to see how the Eurasia Project will lead the entire Las Vegas hospitality industry – old-line established casinos, resorts and shopping complexes as well as brand new ones – to record levels of hotel occupancy, casino play, retail sales, food and beverage revenue and overall income and profit. If there is ever to be a tide that will cause all Las Vegas boats to rise, it will be the massive tidal wave of new small, medium and very heavy spenders blowing into Las Vegas on the trade winds of Eurasia. PROJECT SIX PHASES The project consists of Six Phases. It will take six years to implement it. This project should generate $10 to $20 billion dollars in yearly revenues to NeuroMANIA Live Entertainment, Inc. on the seventh year. 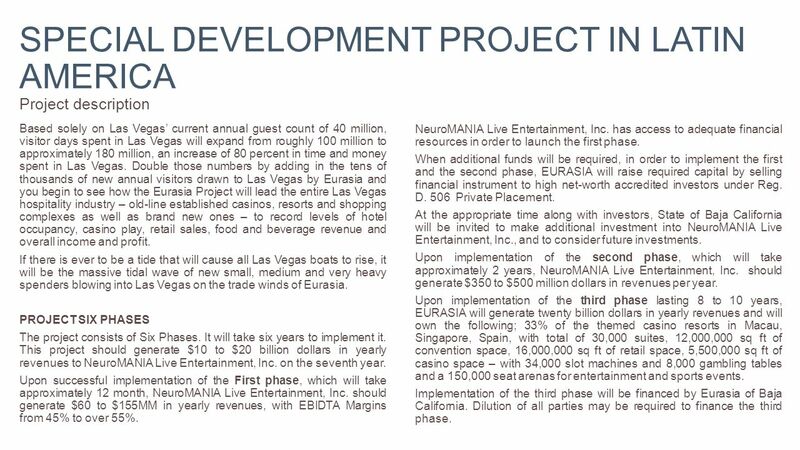 Upon successful implementation of the First phase, which will take approximately 12 month, NeuroMANIA Live Entertainment, Inc. should generate $60 to $155MM in yearly revenues, with EBIDTA Margins from 45% to over 55%. NeuroMANIA Live Entertainment, Inc. has access to adequate financial resources in order to launch the first phase. When additional funds will be required, in order to implement the first and the second phase, EURASIA will raise required capital by selling financial instrument to high net-worth accredited investors under Reg. D. 506 Private Placement. 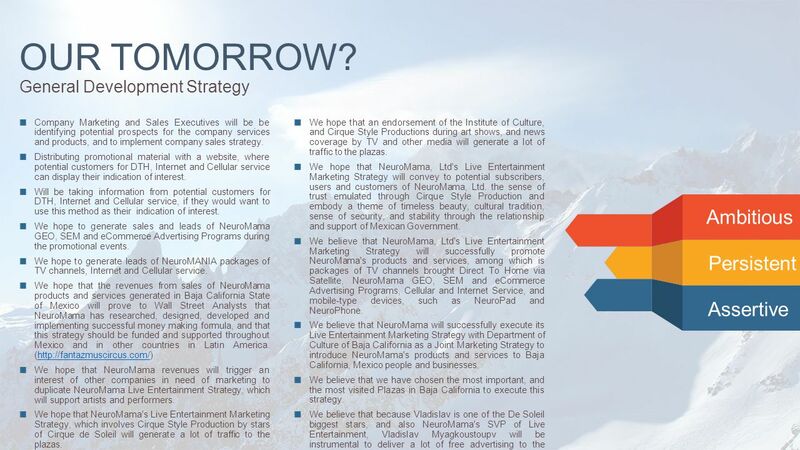 At the appropriate time along with investors, State of Baja California will be invited to make additional investment into NeuroMANIA Live Entertainment, Inc., and to consider future investments. 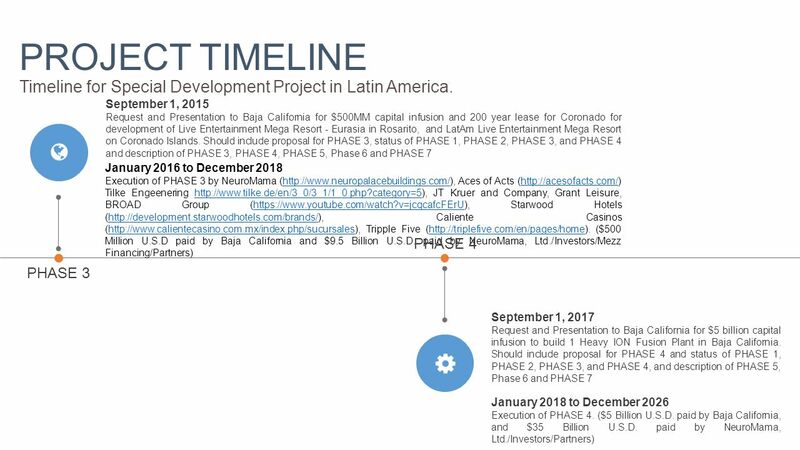 Upon implementation of the second phase, which will take approximately 2 years, NeuroMANIA Live Entertainment, Inc. should generate $350 to $500 million dollars in revenues per year. Upon implementation of the third phase lasting 8 to 10 years, EURASIA will generate twenty billion dollars in yearly revenues and will own the following; 33% of the themed casino resorts in Macau, Singapore, Spain, with total of 30,000 suites, 12,000,000 sq ft of convention space, 16,000,000 sq ft of retail space, 5,500,000 sq ft of casino space – with 34,000 slot machines and 8,000 gambling tables and a 150,000 seat arenas for entertainment and sports events. Implementation of the third phase will be financed by Eurasia of Baja California. Dilution of all parties may be required to finance the third phase. 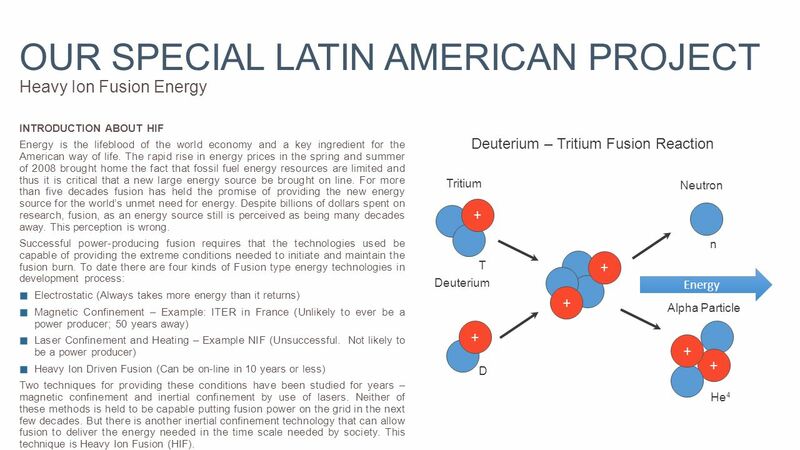 41 SPECIAL DEVELOPMENT PROJECT IN LATIN AMERICA Project description Phase 4 will start on September 2017 with Request and Presentation to Baja California for $5 billion capital infusion to build 1 Heavy ION Fusion Plant in Baja California. 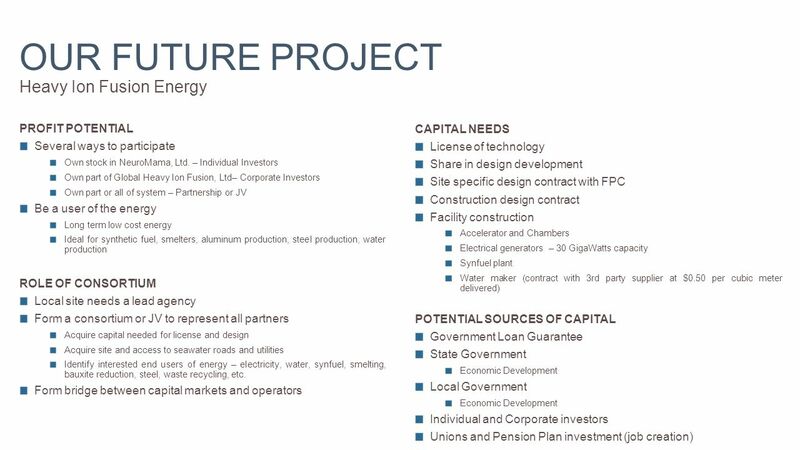 Should include proposal for PHASE 4 and status of PHASE 1, PHASE 2, PHASE 3, and PHASE 4, and description of PHASE 5, Phase 6 and PHASE 7 In total project will last till December 2026 that will include $5 Billion U.S.D. paid by Baja California, and $35 Billion U.S.D. paid by NeuroMama, Ltd./Investors/Partners). 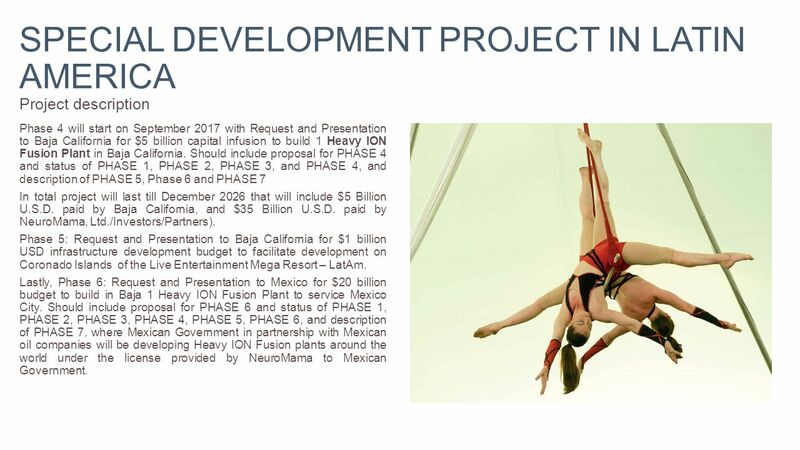 Phase 5: Request and Presentation to Baja California for $1 billion USD infrastructure development budget to facilitate development on Coronado Islands of the Live Entertainment Mega Resort – LatAm. Lastly, Phase 6: Request and Presentation to Mexico for $20 billion budget to build in Baja 1 Heavy ION Fusion Plant to service Mexico City. 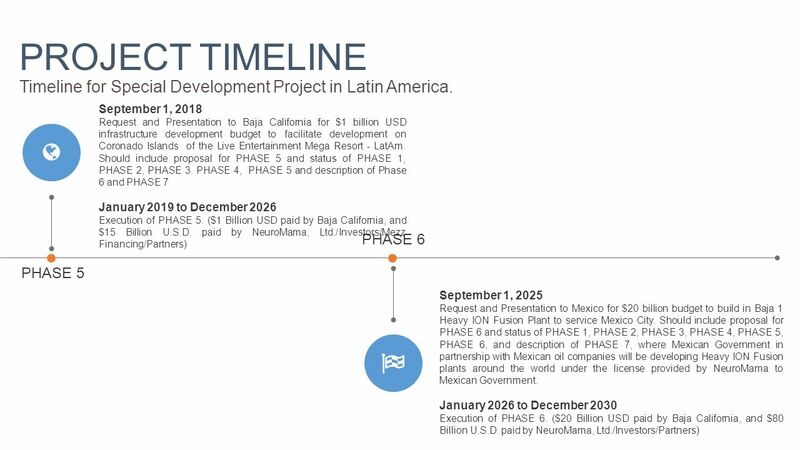 Should include proposal for PHASE 6 and status of PHASE 1, PHASE 2, PHASE 3, PHASE 4, PHASE 5, PHASE 6, and description of PHASE 7, where Mexican Government in partnership with Mexican oil companies will be developing Heavy ION Fusion plants around the world under the license provided by NeuroMama to Mexican Government. Download ppt "Integrated media and technology company. IMPORTANT NOTICE This overview is for informational purposes only and does not constitute an offer to sell or." Our vision To become the finest and most respected retail energy provider in the country. Go Mobile or Fall Behind. Gary Richmond – VP, Sales & Account Management. Executive Summary Nokia's net sales in 2003 decreased by 2% compared with 2002 and totaled EUR million (EUR million in 2002). Operating. Inbound Statistics Slides Template Resources for Partners.